This year’s Park City offerings at the Sundance and Slamdance film festivals ranged from portraits of architects, a mayor with architectural dreams, a victim of the foreclosure crisis, those trapped in physical and dreamed spaces, and individuals exploring the cultural landscape. Always a harbinger of what is coming up, look out for these films and media projects coming to a screen near you. Concrete Love. 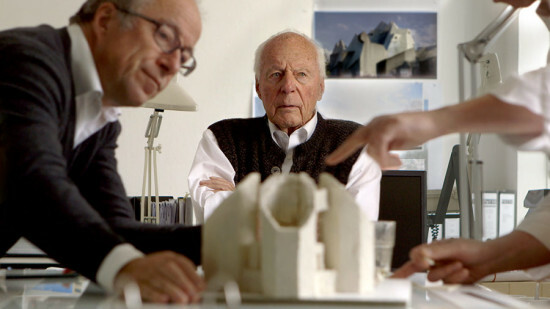 Gottfried Böhm, the only German architect ever to be lauded with a Pritzker Prize (1986) is part of a long line of architects, from his grandfather, father, wife, and three of his four sons. The film’s title refers not only to the Brutalist architecture he favored, but also the love between husband and wife, father and children. Concrete is a shape shifter, a malleable liquid that takes the form of its mold—an apt metaphor. Chinese Mayor. This is a rare look at the inner workings of a Chinese city that is remaking itself under an ambitious mayor, Geng Tanbo, who permitted a film crew to follow him around for three years. 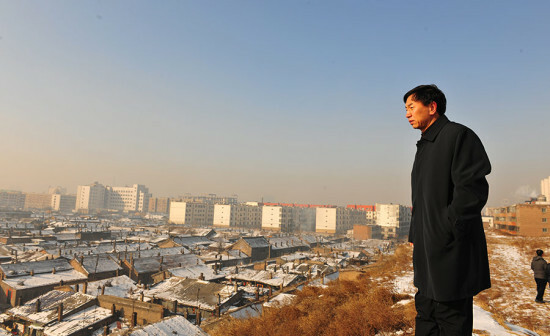 His goal is to transform China’s coal capital, Datong, population 3.4 million, into a city of culture by rebuilding the structures of its heyday 1,600 years ago including city walls with museums inside, and grottos with Buddhist sculpture and murals—all without residents. There is not an architect or planner in sight. One of the more interesting meetings takes place with a large group of other Chinese mayors and party secretaries who are all rebuilding their cities into cultural meccas (it is worth noting that mayors are appointed, not elected). Geng deals with corruption (a shady developer made off with $12 million), incompetence (sewer pipes too narrow), shoddy work (paving without cement), delays (hospitals and roads are way behind schedule) until he is suddenly removed from office and transferred to another city, leaving 125 construction projects in Datong halted indefinitely. 99 Homes. 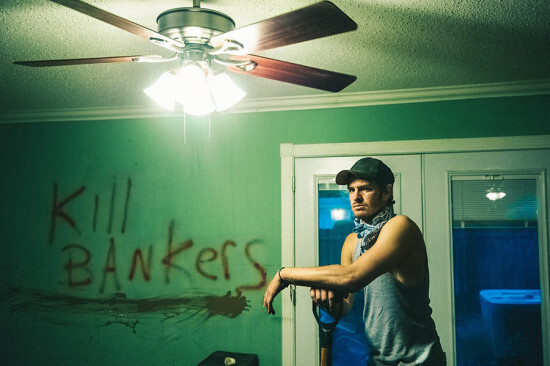 Against the backdrop of the 2008 housing foreclosure crisis, a hard-working and honest man (Michael Shannon), cannot save his family home. A real estate shark throws him a lifeline—an offer to join his crew and put others through the same harrowing ordeal of throwing families onto the street that he experienced in order to earn back his home. A portrait of a man whose integrity has become ensnared in this recent American meltdown. The Wolfpack. Locked away from society in public housing on the Lower East Side, the Angulo brothers learn about the outside world through the films that they watch, which they re-enact with homemade props and costumes. Everything changes when one of the brothers escapes, and the power dynamics in the house are transformed. A claustrophobic environment explodes. Forbidden Room. Guy Maddin’s familiar art-house filmmaking takes the locales of “forbidden” spaces—bathrooms, submarines, volcano, caves, elevators and gets lost in non-linear, episodic, absurdist storylines. An ode to the silent movie era, the visuals, sound and story are layered, while color schemes morph into one another. The Nightmare. Following his exploration of the hotel that inspired Kubrick’s The Shining, director Rodney Ascher now investigates the phenomenon of sleep paralysis, the trap between the sleeping and waking worlds. Eerie dramatizations of what the subjects see are created in an architectural moodscape. New Frontier exhibition, Dérive. 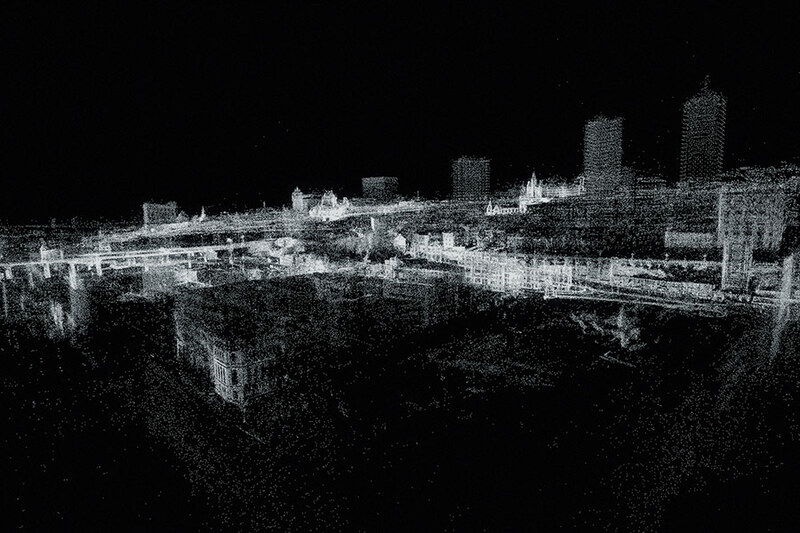 In this installation, in the distance, you see a city glistening in the dark. The closer you get to it, the larger the city grows until it engulfs you in its presence. This interactive projection is driven by the viewer’s body motions to explore 3-D reconstructions of urban and natural spaces that are being transformed according to live environmental data, including meteorological and astronomical phenomena. Station to Station. Visual artist Doug Aitken embarked on a nomadic experiment of art creation, exhibition and participation in summer 2013 (see AN coverage of its launch from Williamsburg). 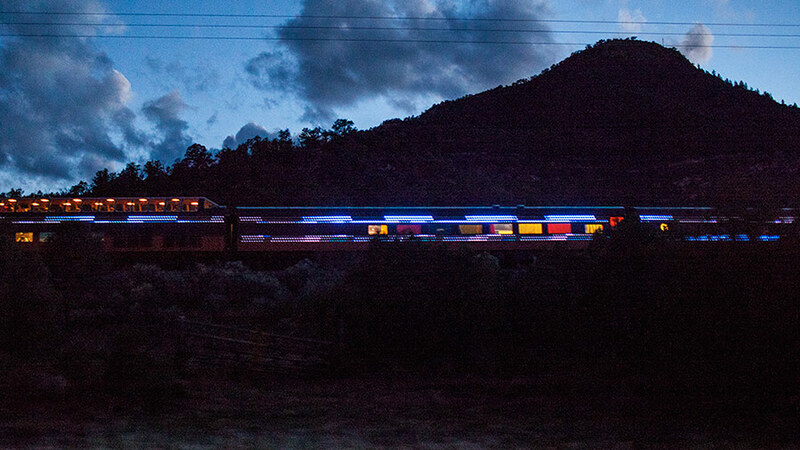 Station to Station chronicles a train that crossed North America over 24 days making 10 stops, with a rotating roster of artists, musicians, and curators, who collaborated in the creation of recordings, artworks, films, yurts and happenings, across the country. Comprised of 61 individual one-minute films that form a high-speed trip through today’s culture.